17.99mm x 17.99mm / 0.708in. x 0.708in. Caduceus Charm. 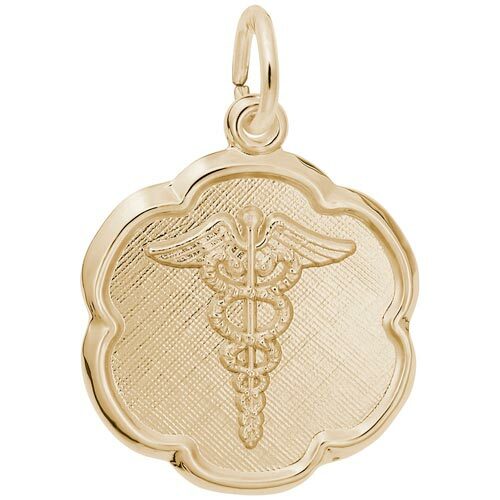 The Medical symbol is rendered on the front, and the back can be engraved.